Your fitness goals and preference are unique, so it is important to hire a personal trainer with whom you are comfortable. Complete the trainee survey and get matched with the best personal trainer for you. Before purchasing a package, you can schedule a risk-free introductory session with one of our personal trainers. We will set you up with a trainer who best fits your goals, budget, location, and more. Once you’ve decided that you want to move forward with your trainer, it’s time to purchase sessions. You will have the option to select 30, 45, or 60 minute sessions, and our packages range between five and thirty sessions. The larger the package you purchase, the less per session you will spend. Begin scheduling sessions with your trainer! Most clients schedule 2-3 sessions per week, however you are free to meet as often (or infrequent) with your trainer as desired. Your sessions never expire, and they are 100% transferable. All RightFit Personal Trainers are vetted for experience, certification, and professionalism. Our trainers have a true passion for fitness and dedicate themselves to their clients. Hiring a personal trainer is kind of like buying a car; you need to give it a test drive first. 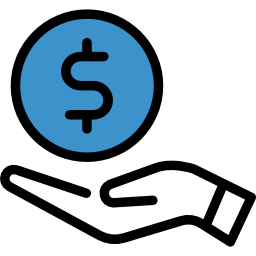 Before making a financial commitment, you can schedule a risk-free introductory session to ensure quality fit. Looking for a personal trainer can be daunting, but RightFit simplifies the process. Take the Trainee Survey and get match with the perfect personal trainer for you. Pay securely via credit card, bank transfer, or Venmo. RightFit’s flexible payment options make the decision to hire a personal trainer less of a financial burden. In-home, the trainers gym, your office gym, or the park. Select the location that works best for you and your schedule, and we will never charge you a membership fee. Whether you are looking to lose weight, build muscle, or improve your overall quality of life, a RightFit Personal Trainer will help you set and achieve your health and fitness goals. You have nothing to lose, and a better life to gain. What is RightFit Personal Training? RightFit Personal Training is a marketplace consisting of the BEST Personal Trainers throughout the United States. Through our extensive network of Personal Trainers, you can search for and connect with anyone free of cost. How much does a RightFit Personal Trainer cost? Price depends on the Trainer. The price ranges anywhere from $70 to $140 per hour-long session. Keep in mind that we offer discounts for bulk packages and group training. If cost is a concern, train with a friend! Does it cost anything to browse through RightFit Personal Training? How can I search through all the RightFit Personal Trainers to find a good fit? There are two ways for you to find your RightFit; First, you can go to the Quick Search and filter through the Personal Trainers based on location, price, specialty, and gender. Second, you can take the Trainee Survey. 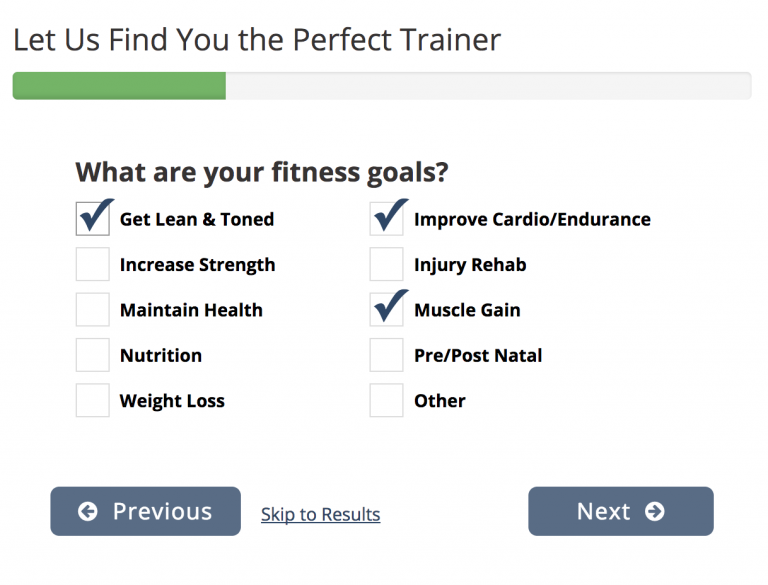 Upon completion of the survey, you will be sent a suggested list of Personal Trainers based on your unique preferences. Why do I need a Personal Trainer? The benefits of working out with a Personal Trainer are endless. Whether you want to lose weight, build muscle, or just improve the overall quality of your life, training with a Personal Trainer will help you set and achieve your fitness and wellness goals. Are all of the RightFit Personal Trainers certified? Yes. All of the RightFit Personal Trainers hold at least one nationally recognized personal training certification. I am currently rehabbing from an injury. Is it safe to workout with a Personal Trainer? Yes! Consult your doctor or physical therapist first, but training with a Personal Trainer is a key factor towards injury prevention. Where can I workout with my Personal Trainer? All of the RightFit Personal Trainers will either come to your home or take you to an independent training facility. These are state-of-the-art non-membership gyms that house independent Personal Trainers. To find a facility near you, contact us at 847-337-9401. I love it! How can I stay in touch? We love social media! Keep tabs on us by following us on Twitter, Liking us on Facebook, and following us on Instagram.